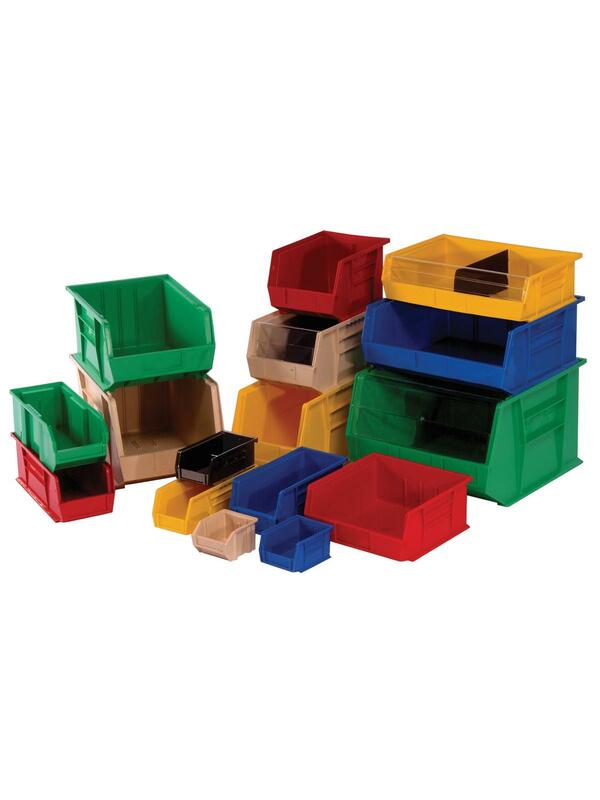 Strong, versatile, competitively-priced containers are made from heavy duty polypropylene. Efficiently store and organize small parts and supplies in these rugged, reinforced containers. Won't rust or corrode and are unaffected by weak acids and alkalis. Bins stack or hang on straight edge rails or louvered panels. Insertion of unique clear, see-through windows double storage capacity and converts bin into a true carrying tote. Available in Black, Yellow, Blue, Red, Ivory or Green. FOB Shipping Point. Conductive Stack & Hang Bins are engineered for electronic components, assemblies and loaded circuit boards. Bins are molded with a carbon filled copolymer polypropylene material which protects sensitive electronic components from typical electro magnetic interference (EMI). Bins remain permanently conductive and are unaffected by normal cleansers. Surface Resistivity is less than 105 Ohms-per square when tested per ASTM-D257. Electrostatic Decay Rate is tested to meet Mil Spec Mil-B-81075B at less than 0.1 seconds. Available in Black. FOB Shipping Point. 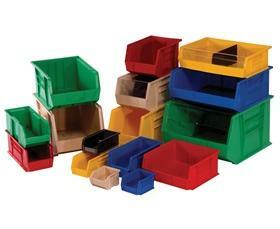 See Related Items tab for Ultra Stacking & Hang Bin Dividers. 18 x 16-1/2 x 11"18 16-1/2 11"